This recipe is incredibly easy, uses only 1 dish, and a handful of ingredients. 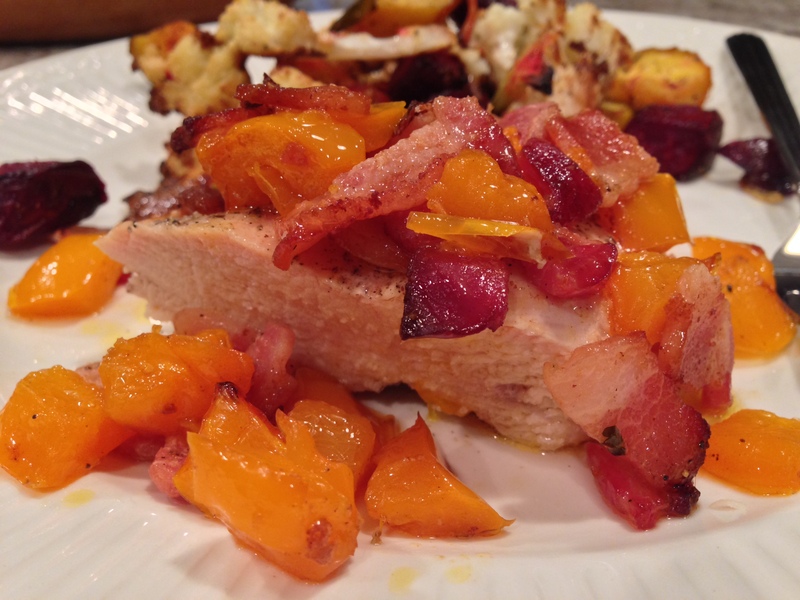 I made this for a quick weeknight dinner but will definitely be making it again for a crowd. The key to this is good quality bacon, shocking I know. You want a thick cut applewood smoked bacon if you can find it. I get our bacon at the Paulina Meat Market usually so the slices are fresh and as thick as I want, but I also like Wright brand from our local grocery store. This is not for turkey bacon or a thin sliced lean bacon, the smokey fat makes all the difference in giving depth and keeping the chicken moist. 2. In an oven safe skillet cook the bacon stirring frequently. When half-way cooked add the bell pepper and cook about 5 minutes on medium low heat. 3. 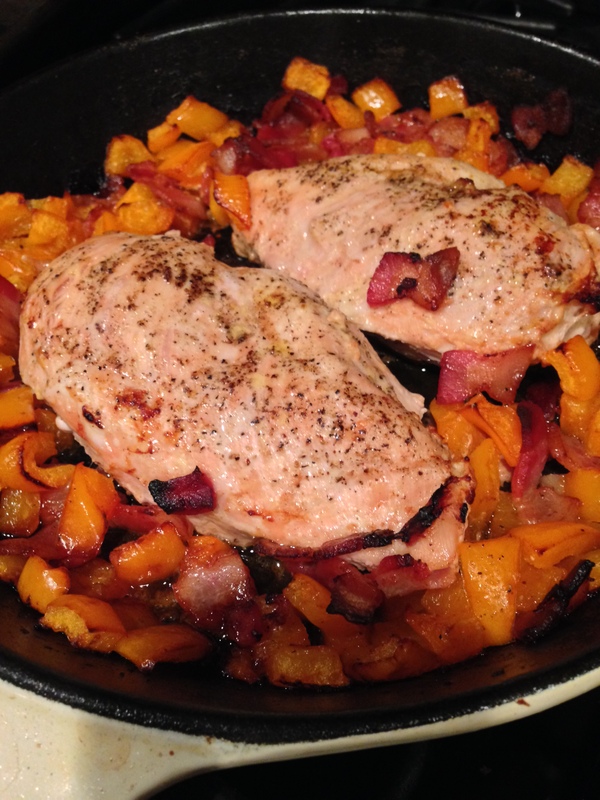 Push the bacon and peppers to the edge of the skillet and turn heat up to medium. Season chicken with salt and pepper, place in the center and brown about 5 minutes on each side. 4. Place the skillet in the oven to finish cooking for about 30 minutes.